We’re taking a look at some of the best games with Christmas themes, just in time for the holiday, and we’ve got a selection of a few favorites that you’re sure to love – even if you’re not playing them today or tomorrow. For this pick, we’re looking back at the bizarre 16-bit platforming game Daze Before Christmas, which actually never got a release in the United States. 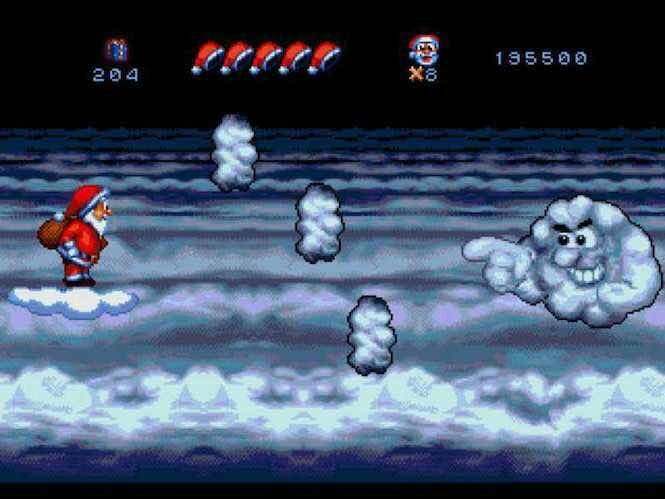 One was planned, with Sunsoft set to publish it, but it was canned for unknown reasons – probably because the company didn’t think there was a general interest in a platforming game featuring Santa Claus for the U.S. market. Still, for those who want it, it should be fairly easy to find the ROM, or purchase a reproduction cartridge. In the game, an evil snowman has come to life and captured both Santa’s elves and reindeer, putting Christmas in jeopardy. It’s up to jolly ol’ Saint Nick to save the day, transforming enemies into harmless presents and using a variety of power-ups, including flames that can melt ice in certain scenarios. He can also swing his bag as a general form of attack. Santa utilizes an energy bar that’s made up of hats, and with each time he’s hit, he loses a hat. Once you run out, you’ll have to start over again. One bizarre element to the game is that Santa can actually transform into an “Anti-Claus”. This happens by drinking a cup of coffee and transforming into a blue-suited devil-like version of Santa Claus. He gains temporary invincibility this way, but he can’t use magic or power-ups, and he also can’t collect gifts. 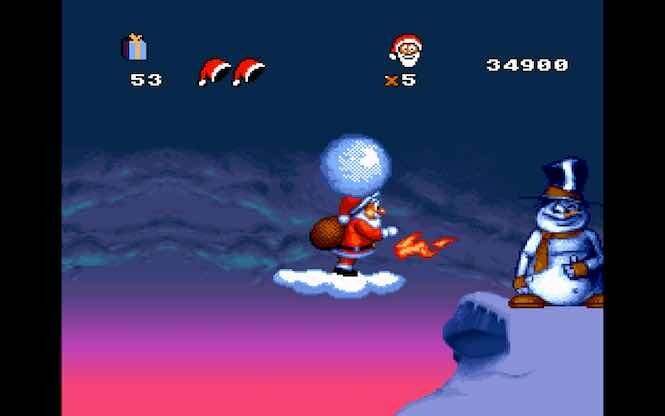 The game also utilizes bonus rounds in which Santa rides in his sleigh, collecting bonus gifts as he goes along and dropping them down chimneys throughout the world. It’s short, but certainly sweet. 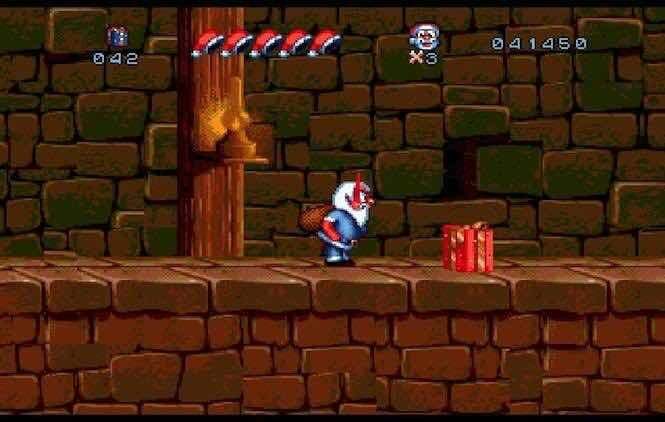 While there are a number of other 16-bit platformers that easily outshine this one, Daze Before Christmas is still an interesting collectible, as it’s one of the few games that features Santa Claus as a main character in a video game. (Of course, there’s also Menacer for the Sega CD, if you recall.) Again, there was no U.S. release, but it should be fairly easy to track down.